Comments: As far as I am aware, the only Basque book about Elvis. 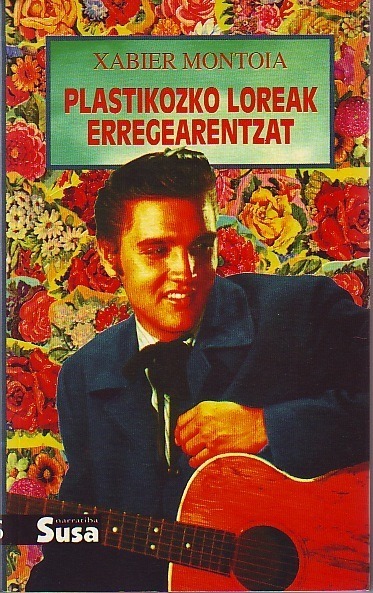 The title means "Plastic Flowers For The King". It is fity percent biographical and fifty percent fictional: author Xabier Montoia travels from Euskal Herrie to Graceland, remembering other musicians and visiting places of musical interest.